The description of the processes that took place in Israel in recent years presented in the following article is based on a review of business documents, and interviews with dozens of former and current high-ranking Israeli military officers, officials in Israel's Ministry of Defense, and managers and employees of Israeli cybersecurity and intelligence companies, held since July 2017. Some of these clandestine companies were established in collaboration with the Israeli defense organizations as a way to address the country's growing technological defense needs and a steep rise in salaries of cybersecurity engineers in the Israeli market. This article has been subjected to the review of the Israeli military censor. 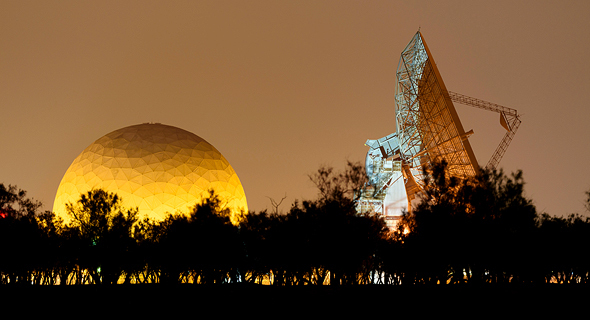 Veterans of technology units in the Israeli military, among them veterans of Israel's Unit 8200, the equivalent of the NSA and British GCHQ, are in high-demand in the local industry, a result of the appreciation of the technical and managerial skills they acquire during service. Combined with budgetary diet forced on the Israeli military, the rising salaries in the private sector have made talent preservation a top priority for the top echelons in Israel's defense apparatus. One of the companies that was established in such a way operates out of a squarish office building in the greater Tel Aviv area. 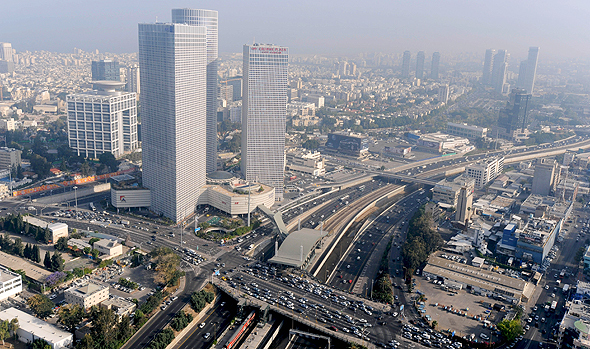 Other Israeli startups and technology multinationals take up the rest of the building. The company, a contractor of the Israeli Ministry of Defense, employs around 200 people. In the published version of this article, the company will not be named, its exact location will not be given, and former company executives, some of them having given Calcalist on record interviews, will not be named as well. Third-party service providers working with the company will also not be named, despite being affiliated with the company on publicly available records. Like many of its neighbors, it has a website describing its activities, and over a hundred of its employees are registered on LinkedIn. One of its managers teaches hacking-related courses at the Tel Aviv University. Unlike other firms, its mere existence is regarded as a secret by many Israeli officials: its windows are covered, and employees of companies working in the same building have never heard its name. "Some companies don't want you to know much about their activity," the graphic designer behind the company's website wrote in an online document explaining the website’s design process. Calcalist approached over a hundred of the company's employees seeking interviews. Most, but not all, of these requests went unanswered. The following description of the company's activities is based on interviews with over ten current and former employees, and other people familiar with its activities, most of them speaking on conditions of anonymity, but some speaking on record. Many if not most of the company's employees are veterans of technology units in the Israeli military and Israel's intelligence arms. The company develops hardware and software solutions for Israeli defense organizations and also trains relevant military and intelligence personnel. "The solutions it delivers are idiosyncratic and tailored to very exact specifications," he said. New employees at the company are required to get an Israeli security clearance, issued by Israel’s Internal Security Agency or the Israeli military, as part of the onboarding process. According to information by the Israeli state registrar, the company is privately owned. All of the company's stocks are registered to the name of a single person who is also registered as the sole company director since its foundation. That person is not listed on the company website, and one of the company's former top managers and two people with close ties with company's management said they have neither heard his name nor met him in person. On company documents held by the Israeli state registrar, three clearly different signatures are all attributed to that person. An Israeli accountant named on these same documents as vouching familiarity with the signee did not reply to repeated calls and emails from Calcalist. Residents in the apartment building listed as the company’s registered owner’s place of residence said they have never met him or heard his name. Documents meant to list the defense contractor's office address, list instead the address of a lawyer’s office. The registered owner of the company is also named as the person who acquired the company's website domain, but on a website identifying domain owners, he is listed with a nonexistent address in Tel Aviv. In an email sent to Calcalist in February, the defense contractor's former CEO stated the company is "private" and "focused on cyber technologies with expertise in research and development of advanced products and applications suitable for defense and commercial entities." The former CEO wrote that the company employs over 150 people "some veterans of elite units" and most “having held positions at privately owned companies." The ownership of the company has also been reviewed by Israel's Attorney General, according to two persons familiar with the matter. As a company listed as private, the company can pay its employees salaries that are not limited by restrictions set for employees of the Israeli Ministry of Defense. As a private company, it can also attract employees with relevant skills and experience working in the private market, and contract technology vendors without being subjected to possible limitations placed on defense and government intelligence agencies. Between 2009 and 2016, the average salary of cybersecurity employees in Israeli technology companies rose 37.5%., according to data by Israel-based human resource management firm Ethosia-Human Resources. In comparison, the average salary in the Israeli market rose 20.5%, according to data by Israel's Central Bureau of Statistics. In 2016, the average salary for a cybersecurity employee stood at 24.8 thousand NIS, compared to an overall market average of 9.8 thousand NIS. Ethosia's figures do not include compensation factors outside wages, including bonuses, equity, and insurance coverage, customary in the local industry. The Israeli military competes with the standards of compensation applicable to commercial companies, and when wages are on the rise, the military is hard-pressed to offer competitive compensation, a high-ranking officer who was in charge of human resources at the Israeli military said in an interview with Calcalist. Most of the company's top managers are veterans of Israeli military technology units. Some of its top managers and employees have started work at the company immediately after having been released from active duty. One of them, the company's chief technology officer for twelve months ending June 2017, said in an interview with Calcalist that he started work at the company less than a day after his release from active duty. Before joining the company, he managed a team of 40 engineers at Israel’s Intelligence Corps. A former employee of the company said crossing the lines between military service and employment at the commercial outfit was "commonplace,” while he was working at the company. A former high-ranking Israeli officer said Israel military currently outsources activities that were previously managed in-house, with a focus on software and cyber technologies. In some cases, managers of development projects in the Israeli military and intelligence arms were encouraged to form their own companies, which then took over the project, an Israeli venture capitalist familiar with the matter said. One of the companies formed this way is B.C. Strategy Ltd., also known as Black Cube. A former Black Cube employee speaking on terms of anonymity said the Israeli Ministry of Defense contracted the company. Black Cube declined to comment. Development projects once done in-house at the Israeli military and at Israeli intelligence agencies are now also transferred to third-party contractors that have already worked as contractors for the Israeli Ministry of Defense. In some of these cases, personnel involved in the internal projects are marked for transition and are then offered a job at these companies. When they start working at the private contractor their compensation increases substantially. One of the companies that assimilated such an activity is Israeli cybersecurity outfit Maglan, acquired in 2016 by Dublin-headquartered consulting firm Accenture PLC. 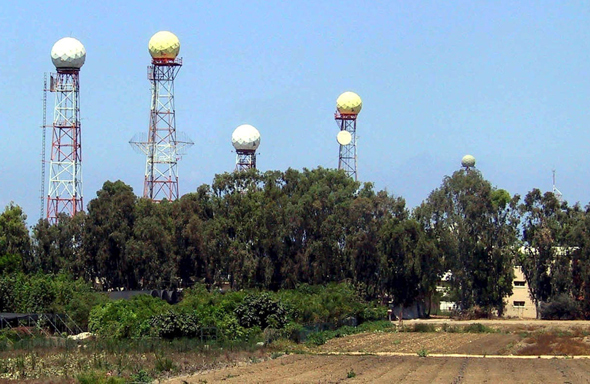 To benefit from the local talent and innovation, the technology research and development arm of the Israeli Ministry of Defense, called The Administration for the Development of Weapons and Technological Infrastructure, started in 2010 looking into potential collaboration with local startups and went on to establish a cyber-technologies subunit. Between 2012 and 2014 this unit funded over thirty development projects in startups, a former director at the Israeli Ministry of Defense said in a February interview with Calcalist speaking on conditions of anonymity. To further facilitate ties with startups, in 2015, the administration has started looking into possible changes to the way intellectual property is registered in such joint ventures. The matter was discussed at the Israeli military's supreme command, according to one person familiar with the matter. In June 2017, the Israeli Prime Minister’s Office announced in a statement the establishment of a Mossad-run venture capital fund called Libertad. In a March announcement, the Israeli Prime Minister's office said the fund had completed a series of first funding deals. "Breakthrough technologies that can help the Mossad better its position in anticipation of future threats are developed in Israel," Mossad director Yosef Cohen said in the statement. "Collaboration with civilian outfits is excellent, and we will continue to bolster the effort," Mr. Cohen said. Some people in service were offered bonuses of up to 100 thousand NIS (around $28,560), and unpaid leaves, in which they can work in technology firms, these people said. In March, Calcalist revealed the details of a plan to offer Israeli military personnel a two-year “tech leave” in which they'll be able to work in pre-selected technology companies in Israel.